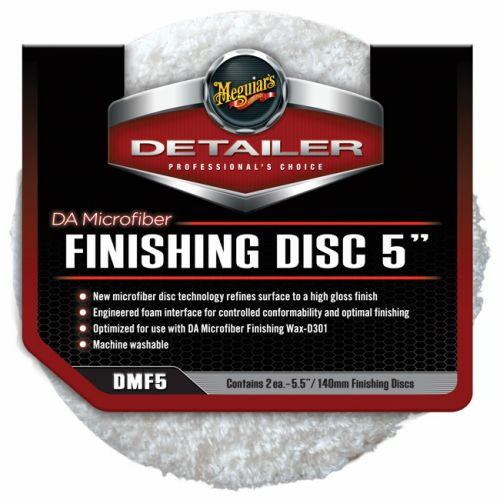 Meguiar's DA 5” Microfiber Finishing Pad Discs with advanced technology microfiber and an engineered foam interface easily applies Meguiar's DA Microfiber Finishing Wax and gives you a high gloss shine and premium paint protection. 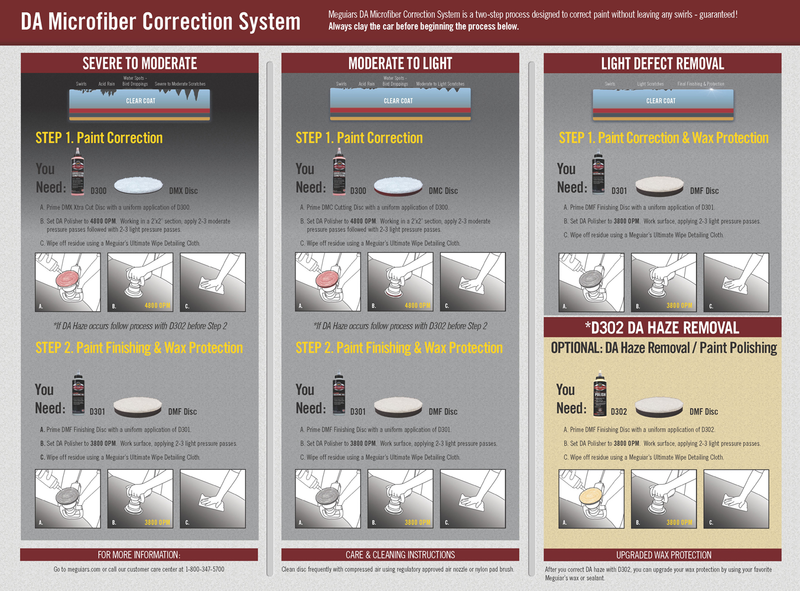 The Meguiar's DA 5” Microfiber Finishing Pads was designed to contour to curves as well as flat surfaces for better control, efficiency and overall results. 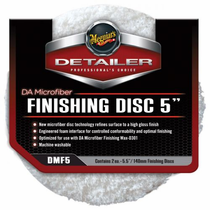 Meguiar's DA 5” Microfiber Finishing Pad is even backed by Meguiar’s with a “No Swirl Guarantee”!. 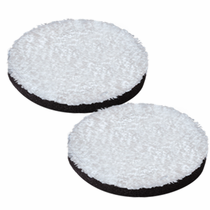 During Use: Clean Meguiar's DA 5” Microfiber Finishing Pad frequently during use with a nylon bristle pad cleaning brush. After Use: Machine wash using a mild detergent and DO NOT use fabric softener. Tumble dry on low or no heat and DO NOT use dryer sheets. To prevent contamination store in a clean, dry location free of dust, dirt or other debris.